The State Department announced on Wednesday that Secretary of State Mike Pompeo had postponed a scheduled New York meeting with North Korean official Kim Yong-chol and other high-level visitors from Pyongyang. The State Department stressed that talks between the United States and North Korea will continue. Kim Yong-chol is vice-chairman of the North Korean Workers’ Party’s central committee, which makes him roughly analogous to a vice-president. His meeting with Pompeo in New York was seen as an important step toward setting up a second summit meeting between President Donald Trump and North Korean dictator Kim Jong-un. The sudden cancellation of the meeting without explanation, or even a clear indication of which side canceled it, was taken in some quarters as an ominous sign of strained relations between Washington and Pyongyang, although senior South Korean officials found the State Department announcement reassuringly “calm” and businesslike. 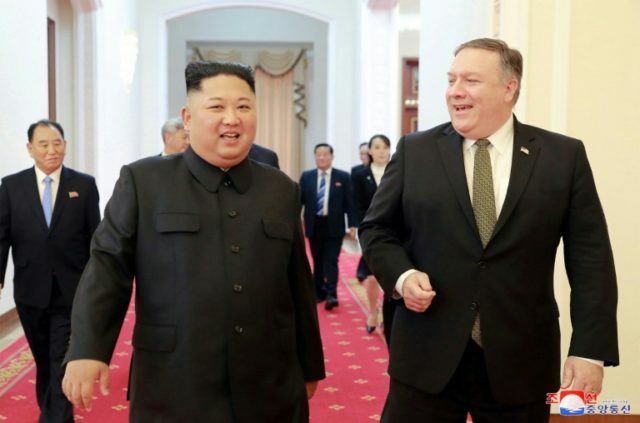 South Korea’s Korea Joongang Daily noted on Wednesday that U.S. special envoy to North Korea Stephen Biegun was slated to accompany Pompeo to New York, while North Korean Vice Foreign Minister Choe Son-hui was thought to be part of Kim Yong-chol’s entourage. South Korean officials were hopeful Biegun might still meet with Choe soon. As for Kim Yong-chol, his flight from Pyongyang to New York via Beijing was reportedly canceled. “Our government had been looking forward to the North-U.S. high-level talks to bring about actual measures for the denuclearization and establishment of permanent peace on the Korean Peninsula, hence we think it is regrettable that they are not taking place,” a senior South Korean Foreign Ministry official said on Wednesday. Yonhap News quoted the same official optimistically suggesting “Washington’s tone would have been stronger” if North Korea had sabotaged or unilaterally canceled the Pompeo-Kim meeting. “I don’t believe that the postponement means that the North-U.S. negotiations have become null or lost momentum or direction,” added a spokesman for South Korea’s presidential Blue House. South Korean President Moon Jae-in’s administration was described as apprehensive that a hitch in U.S.-North Korean relations could delay progress on South Korea’s diplomacy with the North, as well as some joint projects the two Koreas wish to pursue. “We have a principle to implement agreements between South and North Korea as planned, but there will be an impact from denuclearization talks. We hope North Korea-U.S. high-level dialogue will be rescheduled at an early date,” a South Korean government official said. The Moon administration reportedly remains hopeful that Kim Jong-un will pay a visit to South Korea before the end of the year.